posted a formidable score of 300 runs on the board. While many thought they were 30 runs short, it proved to be too much for the Pakistani batsmen who looked in a hurry right throughout the innings. Mohit to bowl his ninth over. Just four came off the first five balls and Sohail Khan took a chance off the last ball, but hit it high in the air and was caught by Umesh Yadav at long-on. 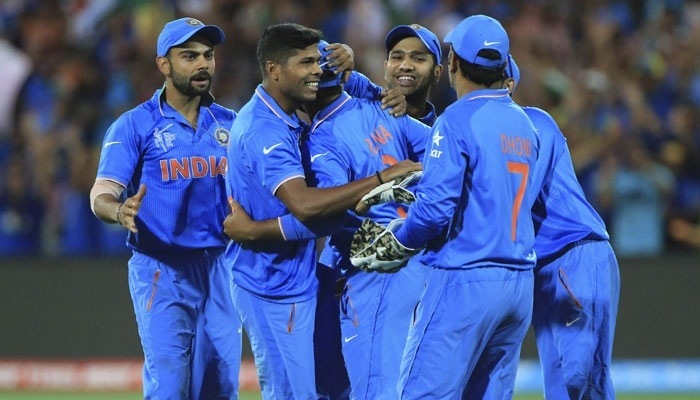 It’s 6-0 for India now and they have thrashed Pakistan in yet another World Cup match, this time by 76 runs!